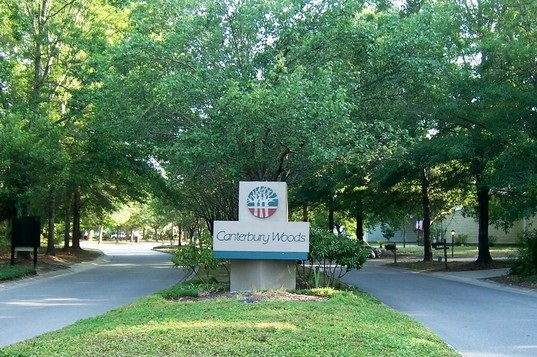 Canterbury Woods is a residential subdivision located in the West Ashley area of Charleston, SC. It was built in the early 1990's and is comprised of 313 single family homes with amenities including a handsome 800 sq.ft. clubhouse, two children's playgrounds, an outdoor volleyball court, two newly renovated tennis courts, a regulation size basketball court and a state of the art salt water pool. The area is located just off of the historic corridor of Ashley River Road and is bordered by Church Creek.